Bahri & Mazroei Technical Systems (BMTS), the leading provider of solutions to the construction sector, has opened its advanced automation centre, for the assembly, integration, testing and acceptance of electrical, automation and instrumentation systems. The centre was inaugurated by Esam Al Mazroei, Bahri & Mazroei Group vice chairman, as well as BMTS’s partners and clients. A one-stop integration centre, the new facility is located in Sharjah Industrial Area, bringing BMTS’s advanced services closer to its customers in the UAE and the GCC region. Underlining BMTS’s commitment to strengthening the industrial ecosystem of the UAE and in driving localised manufacturing and testing services, the automation centre can engineer, design, manufacture, assemble and test all types of complex engineered/configured process-oriented automation systems, control panels, electrical systems such as motor control centres, variable speed drives and soft starters for a number of industries. Highlighting the broad capability of the centre, it supports assembling of automation panels, fixed/variable speed drives for motors and process controls, distribution panels as well as Scada (supervisory control and data acquisition) systems for central processing and plant-wide communication and data systems. The state-of-the-art facility can simulate, test and calibrate the systems for customers, run Factory Acceptance Test (FAT) for original equipment manufacturers, engineering, procurement and construction (EPC) contractors and end-users in different sectors. 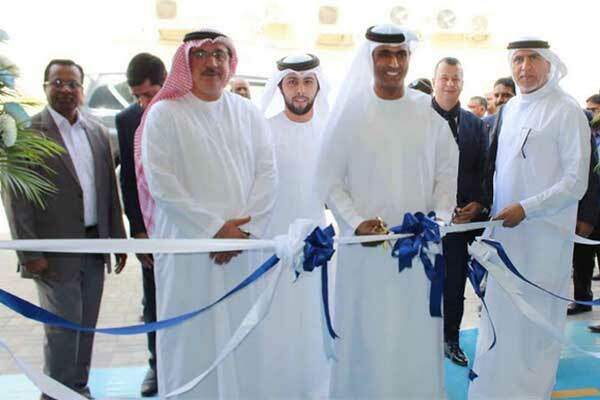 Al Mazroei said: “The opening of the automation centre is a milestone in our operations in the UAE that will further strengthen our customer relations as well as highlight our localised manufacturing competencies. Supporting the integrated, performance-building automation solutions for buildings, industrial and infrastructure facilities of all sizes and types, the BMTS Automation Centre offers world-class expertise and best-in-class technology that help customers to reduce operating and maintenance costs, minimise energy consumption, enhance safety/security and maximise return on investment. The centre also marks the relentless pursuit of excellence by BMTS, with the goal of integrating multiple technology areas, and delivering domain and service expertise for end-to-end solutions and services for commercial, industrial, utilities and infrastructure customers.